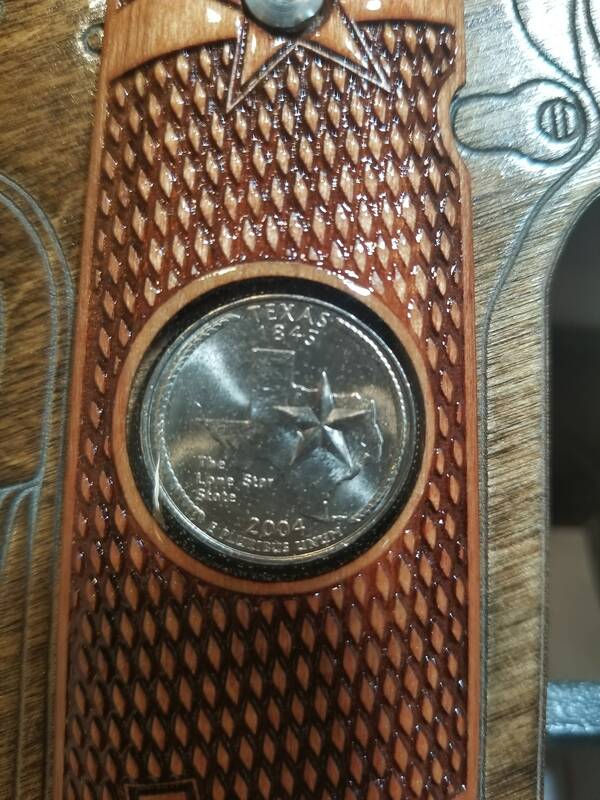 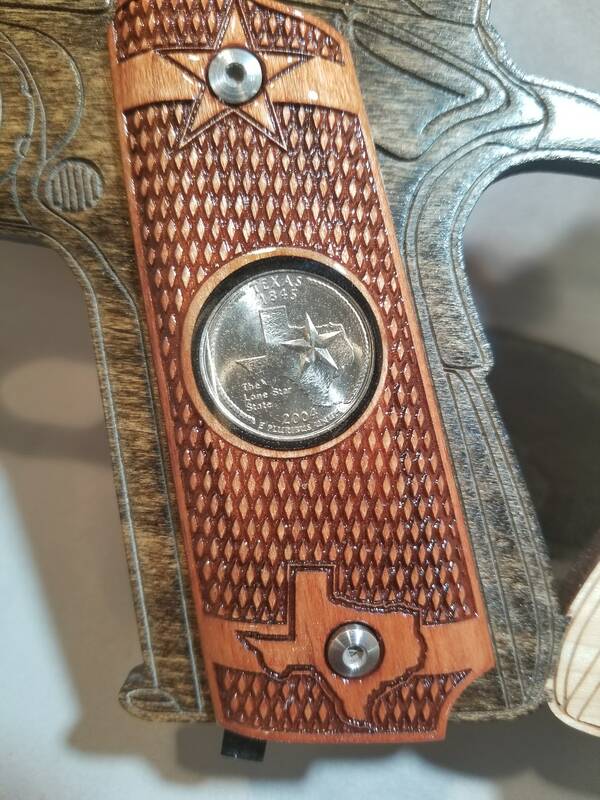 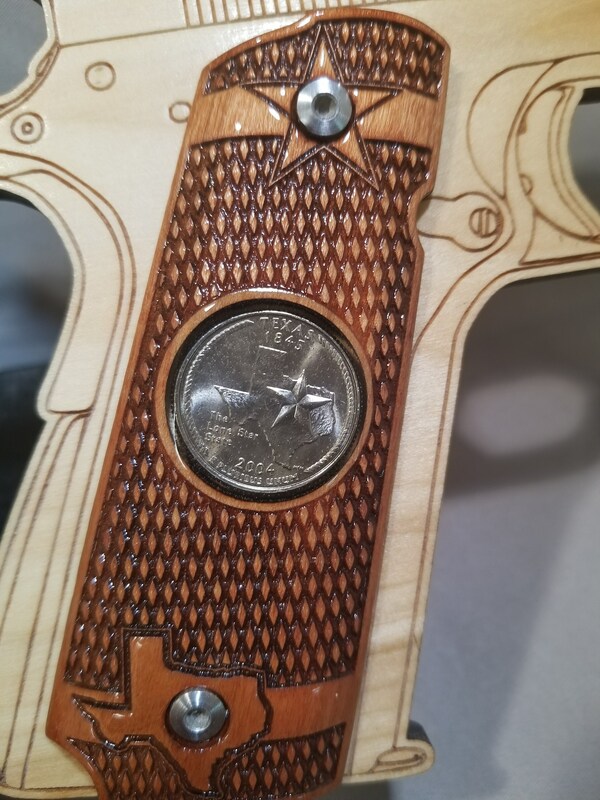 I collaborated with a customer to come up with an amazing set of TEXAS themed FULL SIZE 1911 grips. 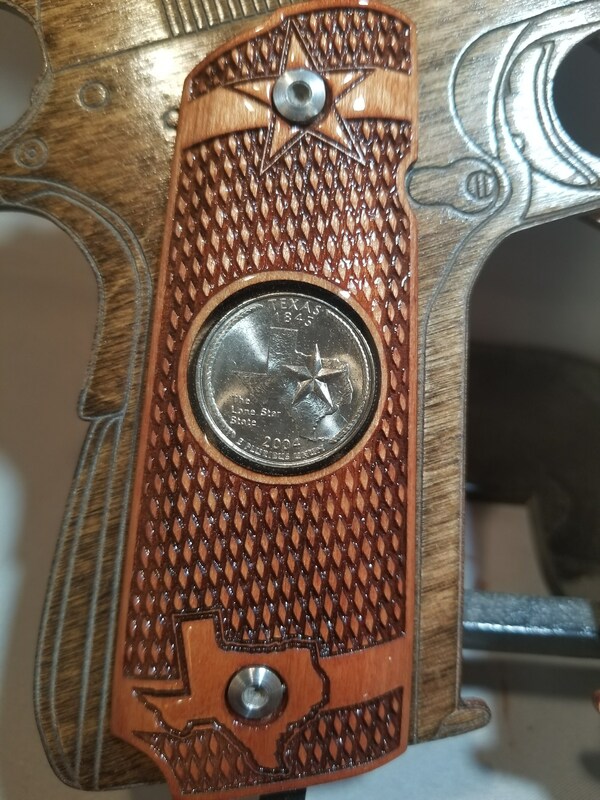 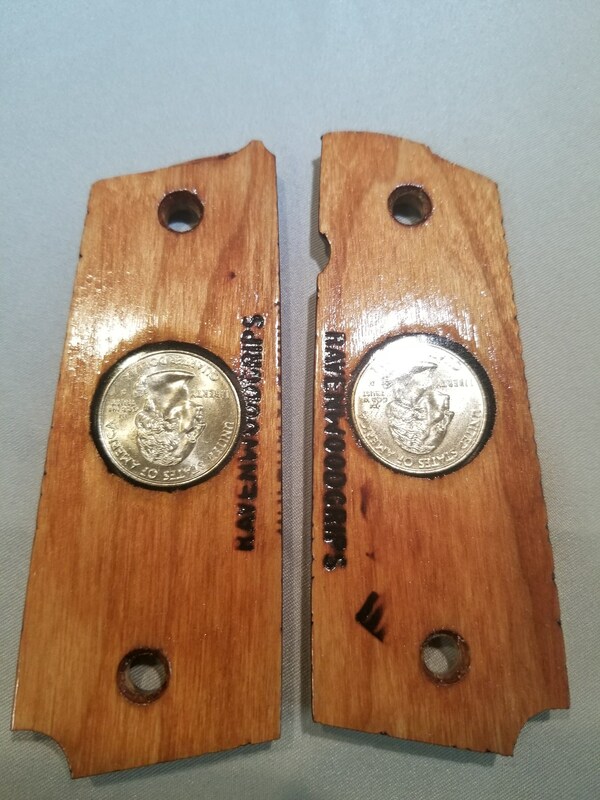 These are made from CHERRY and stained GUNSTOCK RED, with stylized checkering throughout with a banded star around the top screw hole, and a banded Texas state outline around the bottom screw hole. 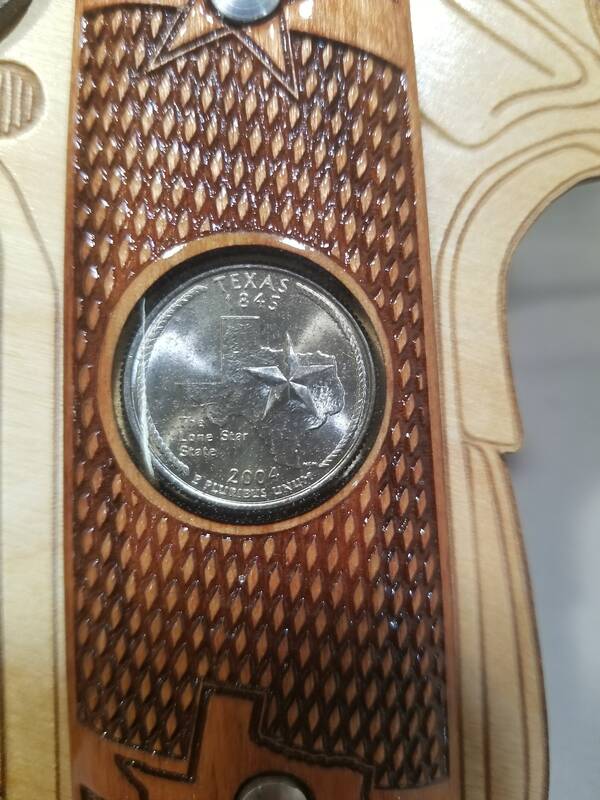 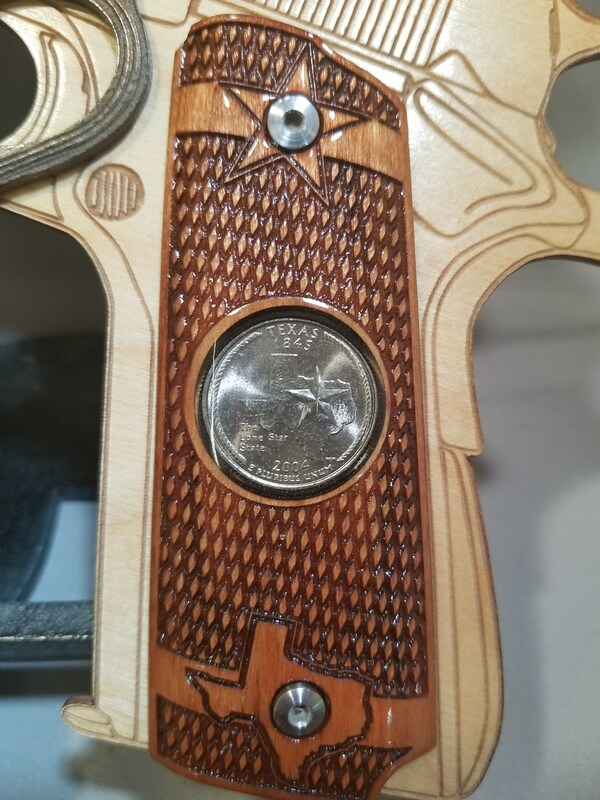 Centered is a solid inlay of crystal clear resin containing a presentation grade Texas State US quarter dollar coin. 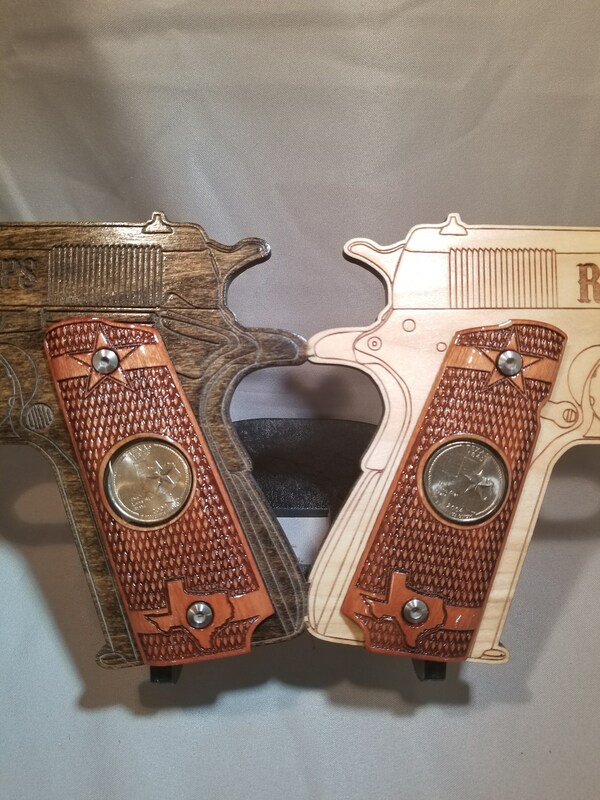 These are an AMAZING set of grips that truly stand out! 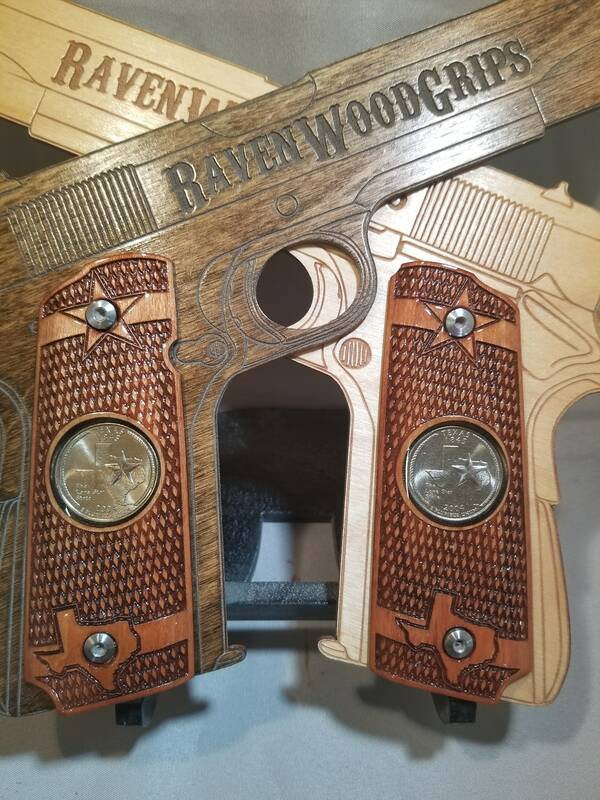 Upon completion, they will be test fit on multiple similar FULL SIZE (3 1/16" inch, on center, grip screw spacing) 1911s, however, due to some firearm manufacture discrepancies, a small amount of end-user fitting may be required. 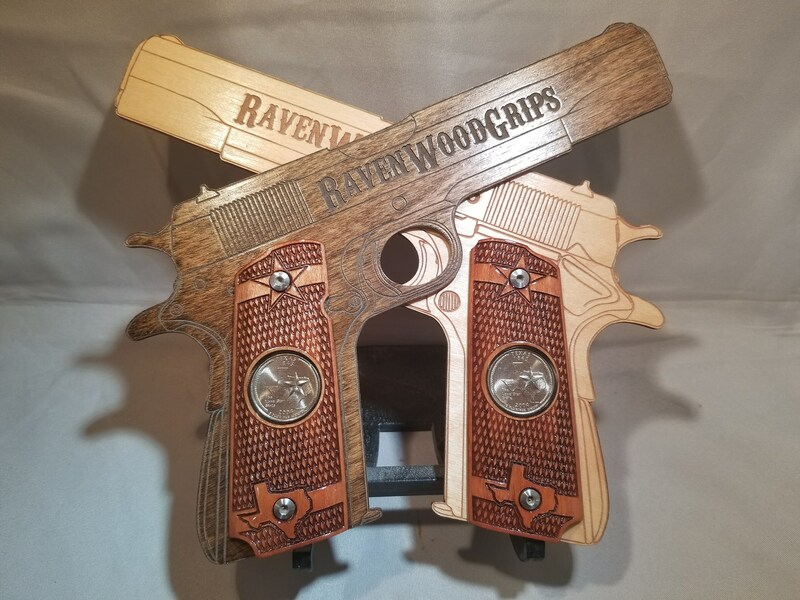 If you need them cut for an AMBIDEXTROUS safety, or for a BOBTAIL, please leave a comment in the NOTES section of the order.